Bus driver and Road Traffic Inspector for the LUT bus company. Chairman of Westhoughton Council's Road Safety Committee. 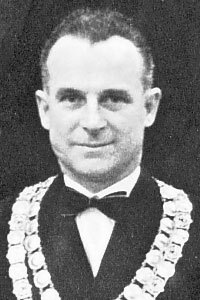 Chairman of the Town Hall, Water and Market Committees and Vice Chairman of the Parks and Allotments Committees. School Manager at Daisy Hill and Hart Common. He also represented the Council on the South Lancashire and Merseyside Industrial Development Associations.